Are You Sitting on a Fortune You Didn't Know About? 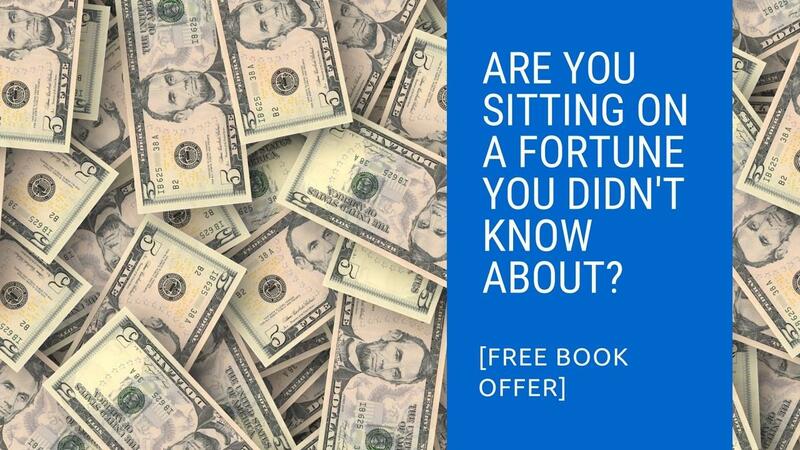 [FREE BOOK OFFER] Are You Sitting on a Fortune You Didn't Know About? Do you ever think "I'd love to invest in real estate, but I just don't have the money yet?" Well, it's possible you are actually sitting on tens or hundreds of thousands of dollars available for investing and you don't even know it! That's how I was - I was pretty blown away when I found this out. When my husband and I went to a real estate conference - the Real Estate Guys' Secrets of Successful Syndication seminar, we first learned that we had way more access to cash than we thought about - via our retirement accounts. Most people have IRAs or 401k's in plans offered through their employers or through one of the bigger financial institutions - Fidelity, Ameritrade, Charles Schwab, etc. In these accounts is a set of options of what you can invest in - generally a somewhat limited menu of mutual funds and bonds. I remember being very annoyed at one point because I wanted to put the bulk of my money in a low-fee S&P 500 Index fund, and that basic option wasn't even available. There's a different way of using your retirement funds though - one that gives you a LOT more freedom. It's called a self-directed IRA (SD-IRA) or self-directed 401K (SD-401K), and barring a small list of prohibited transactions (basically you can't invest in collectibles or things that personally benefit you and your family), you can invest in anything else - especially real estate. Many of the investors in our various deals have invested via their self-directed retirement accounts. Both my husband and I converted much, though not all, of our retirement funds into self-directed 401ks and have since used those funds to invest in apartment syndications, non-performing notes, and trust deeds. Self-directed retirement accounts are a wonderful option that opens you up to a whole new world of investing. Real Estate Investor Goddesses has partnered with Total Control Financial to bring this type of account to our community and to offer everyone who wants one a free Guide to the QRP book about this type of investment. Quite a few of the Wealth Builder Goddesses and my private mentorship clients have moved their retirement funds into QRPs and are very happy. If you'd like to get a free book and find out more about it, you can do so here: FREE Guide to the QRP Book. It's actually quite well written and a super fast read. Check it out and let me know what you think about self-directed investing, QRPs, and what questions you may have. Hit reply or post in the Real Estate Investor Goddesses Facebook page.